Includes new mini-campaigns and Zombie Mode. Half a year after the game's release, Pocketwatch Games has released what is dubbed the "Huge Free Update" for the stealth action game Monaco. It's called huge because there's lots of new stuff, and it's free and an update because, well, it is. Andy Schatz released a short video (below) showing off a few things from the Halloween update. The biggest content additions are eight new mini-campaigns that detail the backstory for each of the protagonist thieves. Along with that is Zombie Mode, a feature Schatz admits is a little trite, but they did it anyway, so what are you gonna do? Zombie Mode adds shambling undead foes to Monaco's levels, forcing you to do things like explode bloaters and avoid wretches while you try to make your escape. 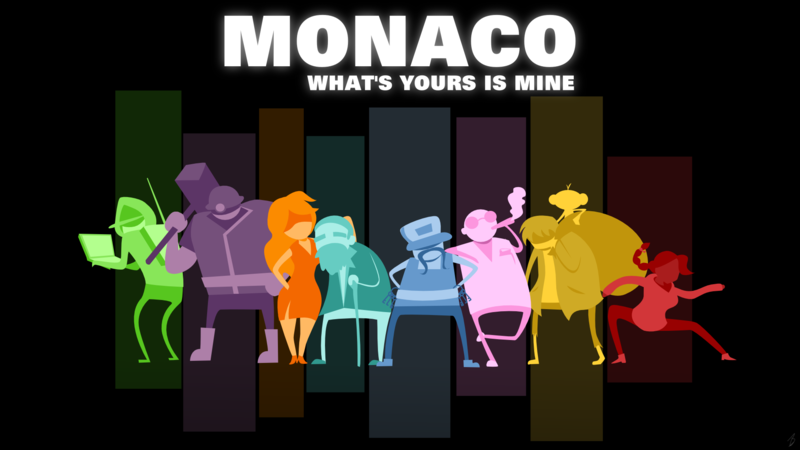 The basic idea behind Monaco is to get in a level, steal something, then get out. It walks a careful line between stealth and all-out running for your life. Guards, traps, coins and bystanders throw wrenches in your every plan, but if you bring some friends along things might be a bit easier. There are multiple character classes to choose from, each with their own unique abilities, making it an excellent co-op experience, as our Monaco Co-Op Review so eloquently states. Monaco is currently available for PC, Mac and Linux, as is this tasty free update. Schatz said Monaco will eventually be available for Steam Box. Co-op supports up to four players locally or online.